*It's the perfect gift for the pickleball player that has everything! *The Eastport Pickleball paddle is on the USAPA accepted paddles list. It is eligible for use in all IFP/USAPA sanctioned tournaments. * The paddle measures and 15-1/2" long and 8-1/8" wide * The average weight is 9.2oz * The grip circumference is appx 4-1/2. It is wrapped with a Gamma PB Lite grip. 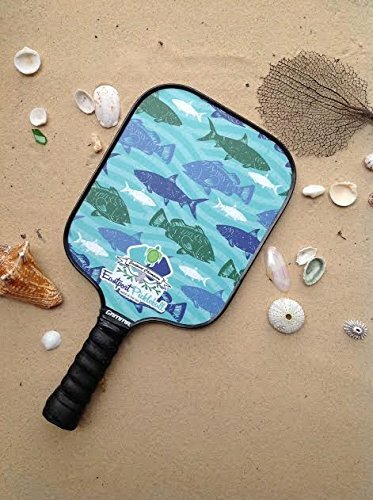 * The polymer honeycomb core with the vinyl over fiberglass face has a quieter sound and sturdy playing surface * This paddle is popular with power players that like a heavier racquet because it generates greater ball speed. * The Eastport Champion paddles come in six different designs including turtles and fish.